Pride Mbi Agbor came to speak to our January branch meeting. He’s a gentle, young man from Cameroon who told us how he came to be in Sheffield. Pride left his country due to persecution of people in the English-speaking South Cameroon area by the Francophone Cameroonian Government, a legacy of European colonial rivalry. He left his home and family reluctantly coming to the UK to study but hoping to return. 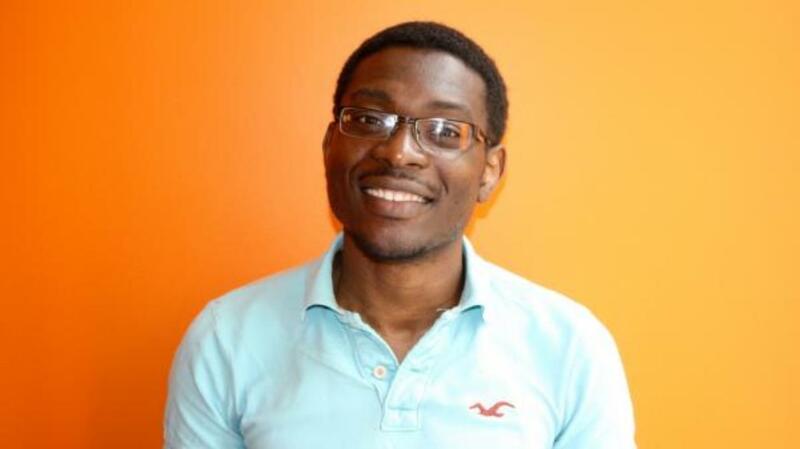 Soon after he began his computer engineering course in Plymouth he got news that his father had been killed as a result of his involvement in the South Cameroons National Council (SCNC). Pride applied for asylum in the UK in 2009 and was then “dispersed”, the official term, to Sheffield where he was allocated a room in a house run by the notorious private security company G4S. Despite grief, loneliness and a disbelieving Home Office he volunteered with ASSIST, a Sheffield charity supporting destitute asylum seekers. He became a trustee with Sheffield City of Sanctuary. He became more active in the banned SCNC and its UK organisation. His complaints about the lack of heating in the winter in his house led to threats from G4S and brought him into contact with campaigners, like myself, from the South Yorkshire Migration and Asylum Action Group (SYMAAG). He spoke at our AGM in 2014 describing his post traumatic stress syndrome and “paranoia”, fearing “each creak of the floorboard” at night was the Home Office coming to arrest and deport him. Like other people seeking asylum Pride has to report regularly to the Home Office at Vulcan House in Sheffield. Each time there is a possibility of detention and deportation: “I’m always sick the week before I go to sign” he told us. It wasn’t paranoia. Six weeks after he spoke to our branch meeting Pride went to Vulcan House to report but didn’t come out. He was detained and sent to Morton Hall Immigration Removal Centre (IRC), a former prison, hidden in the Lincolnshire countryside. He was threatened with forcible deportation on March 24th to Cameroon where his membership of the banned SCNC amounted to a death sentence. His mother had already received visits from the Cameroonian police resulting in beatings when they couldn’t find him. In the 2 weeks before March 24th Sheffield showed what being a City of Sanctuary means. Visits to Pride at Morton Hall, lobbying by Paul Blomfield MP and letters and emails to the Home Office in support of his right to stay and be safe. Pride told me to “thank all the people from your Labour Party who wrote to support me”. But just before March 24th he was forcibly transported to Colnbrook IRC next to Gatwick Airport. Days before the deportation flight to Cameroon was due to leave Pride was released from detention on bail. His deportation was deferred allowing time for him and his legal team to submit further evidence that he had a justified fear of persecution in Cameroon due to his support for the SCNC. 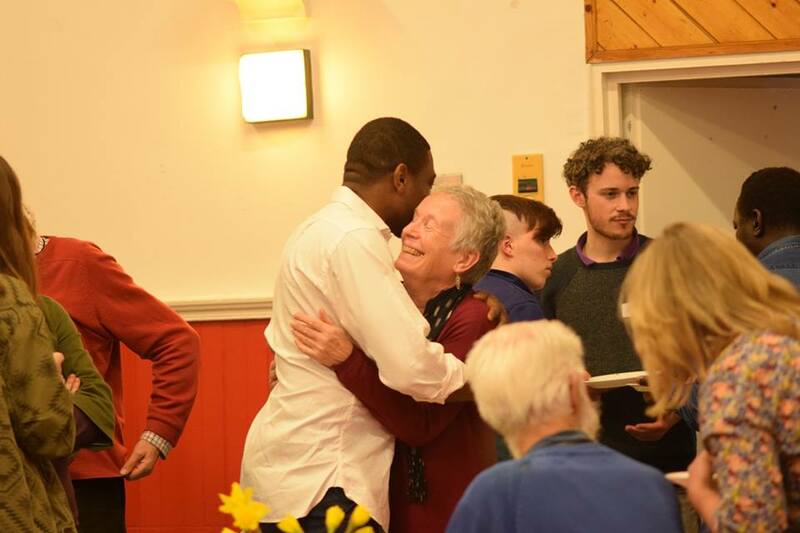 Pride was able to celebrate his 33rd birthday at the Broomhall Centre with his many friends and supporters. But the same week another Sheffield asylum seeker was deported to Georgia. Indefinite detention and forcible deportations are a terrifying but normal feature in the life of someone trying to navigate the hostile and disbelieving UK asylum process. Financial and military deals – illegal under the 1951 Refugee Convention – between the UK and dictatorships in Turkey, Sudan and Libya attempt to stop people ever reaching Europe by establishing “external borders”. 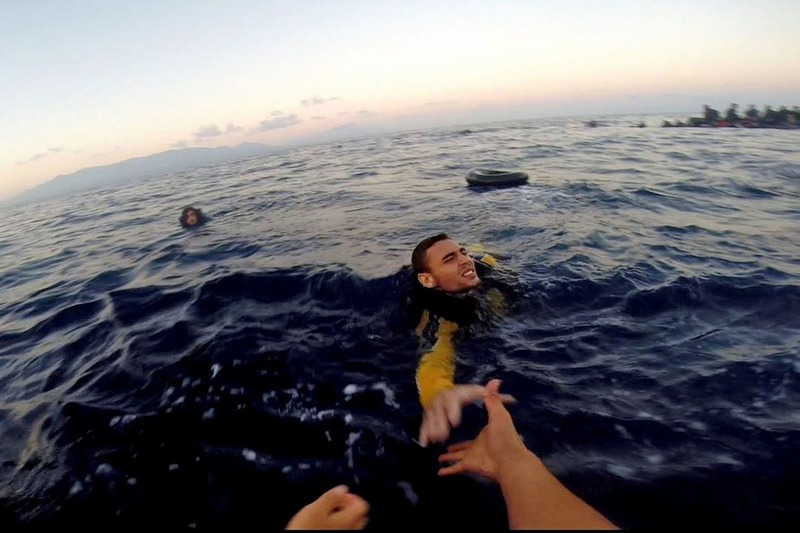 Drowning in the Mediterranean Sea is explained as “deterrence. Those people who do claim asylum here – to be officially recognized as a refugee with a right to stay at least temporarily – face Theresa May’s government wanting to create a “hostile environment” for what they call “illegal immigrants”. The recent attack on a Kurdish asylum seeker in Croydon is not just the responsibility of the mob which kicked him repeatedly in the head but that of the media and politicians of all parties who demonise those seeking sanctuary. People seeking asylum in the UK face “internal borders” too. Not just indefinite detention (the UK is the only European country with no time limit) but restrictions on access to healthcare. Hiwa Ahmedy, a destitute Kurdish asylum seeker with a stomach ulcer was denied treatment at Sheffield’s Northern General Hospital on the grounds that his condition was “not an emergency”. “Come back when it bursts” he was told. 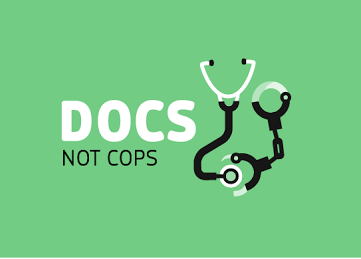 Campaigns like Docs Not Cops call for healthworkers to refuse to demand a passport before treatment. Asylum tenants are “dispersed” to areas with cheapest housing (already suffering from austerity and poverty), away from friends and communities, with no choice. Landlords are now told to check tenants’ immigration status before agreeing tenancies. Schools demand information on nationality and country of origin, implying that education is not a right. The Schools Against Borders for Children campaign is quick to point out how easily such restrictions could be generalized. Some asylum benefits – amounting to £5 a day – are cashless and their use restricted to particular products in designated supermarkets. Asylum seekers are required to carry ID cards. Again, a testing ground before rolling out to the rest of us? The “refugee crisis” is a business opportunity for some. By outsourcing wall and fence building, detention centres, surveillance, asylum housing and even refugee advice services, governments like ours outsource their responsibilities under longstanding international agreements. G4S who are paid public money to provide asylum housing in our region stated their “priority was to make a return for our shareholders in the asylum market”. Labour councils and Cities of Sanctuary need to use existing housing regulation and environmental health powers against abuses of asylum tenants. A Labour Government should strip G4S, Serco, Capita, Mitie, GEO and all those corporations seeking to profit from asylum seekers of their public contracts. It’s been heartening to see Jeremy Corbyn, Diane Abbott, Kate Osamor, and others take up criticism of these companies’ role in the “asylum market” and to stand against the dehumanisation of asylum seekers and refugees. It’s easy to feel overwhelmed by the scale and intensity of this issue. We need a response that is both global and local. Pride urged me to stress the irony of him being persecuted both by the UK Government and the Cameroonian dictatorship for “trying to uphold British culture” as a member of the SCNC. Cameroon was colonized by the UK, its current dictator Paul Biya rarely criticized. We need an understanding the UK’s role in creating refugees through its colonial history and current policy. It’s no coincidence that some of the most common countries of origin for asylum seekers in the UK – Iraq, Afghanistan, Libya – have been subject to British military aggression. Selling military hardware to repressive regimes in Sudan, Israel, Saudi Arabia, Turkey, Morocco (sometimes in return for them illegally stopping refugees crossing borders) could be halted by a Labour Government. But there’s plenty we can do locally. 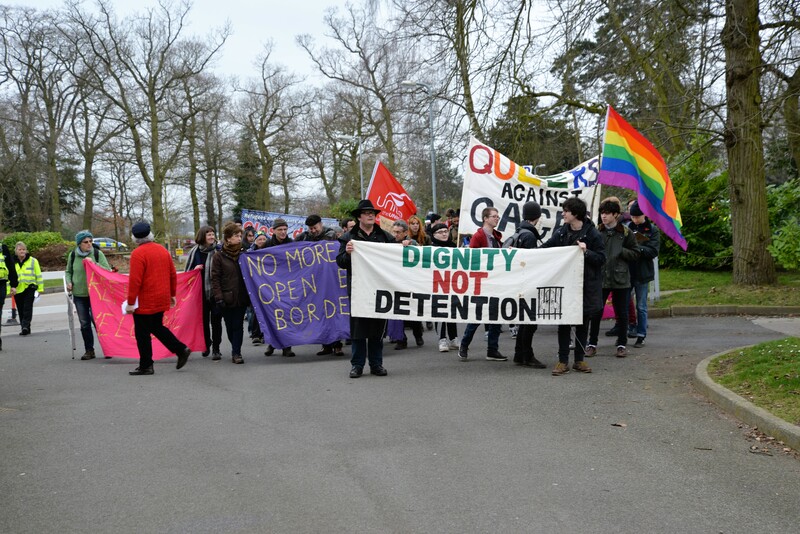 The successful campaign to stop Pride’s deportation – involving many of our Branch members – proved that. Members of our Branch protested at Morton Hall IRC (where Pride was detained) in March. Another protest is planned for May 27th. We are lucky to live in a city with so many refugee support groups made up of thousands of volunteers, many of them “experts by experience” like Pride. Those of us who work in the NHS, in education or local authorities can refuse to act as internal border guards to exclude people without passports, or with the wrong skin colour. We can raise money to support refugees in Syria, Greece, Calais or Sheffield. We can offer our skills and enthusiasm: in advice, sport, art, law, languages, teaching, music, medicine or counselling. We can demonstrate and campaign for change. Or just spend some time befriending people who don’t have the support we might take for granted. How would you want people to treat you if you were forced to become a refugee?